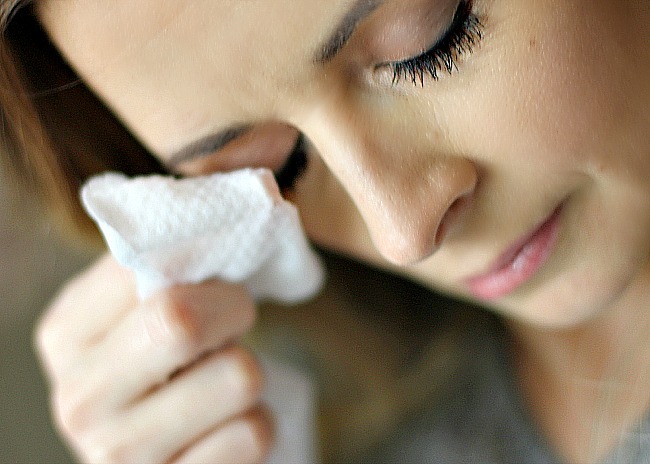 sensitive skin can leave you aching during the winter. the rough transition from the cold outside air to the dry inside heat can do a lot to mess with you skin. add in any additional elements like eyelash extensions, special skincare products or just hormonal changes and it can sometimes feel like you are fighting the never-ending skincare battle. 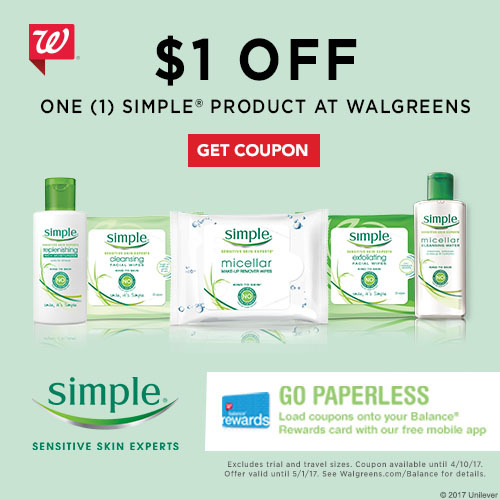 Simple Skincare products are gentle and effective to help you with your skin when it seems to not be cooperating with your regular default skincare lineup. 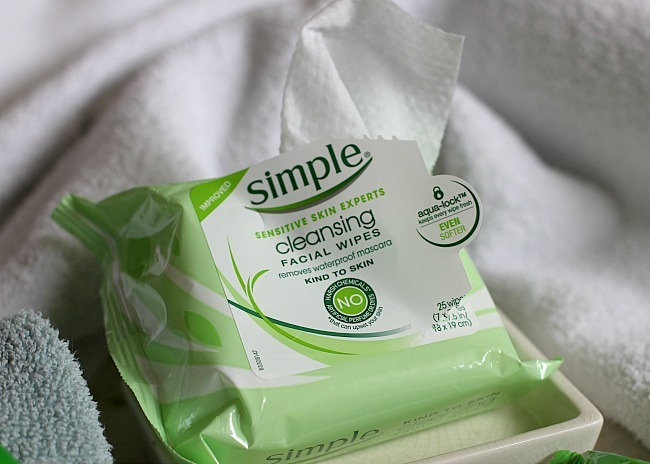 as i mentioned in my previous post Simple skincare wipes are amazing for when you have eyelash extensions. you can wash your face with face wash but you have to take special care when washing around your eyes. 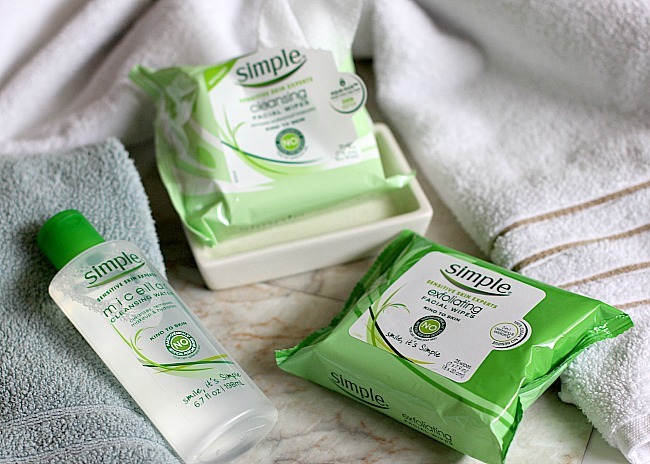 i am always left with eye makeup residue on my face after washing and these wipes get rid of every last little bit. 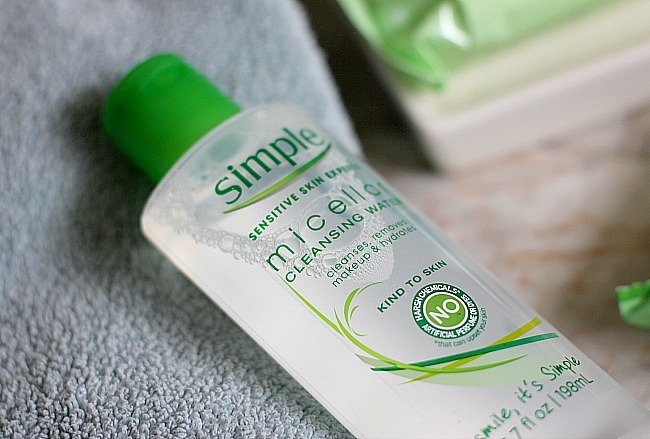 dip your (clean) mascara wand in the Simple Micellar Cleansing Water to help clean off your lashes and extensions from buildup. second, i have mentioned that i am starting to use my all day lip color and one of the myths of that lip color is that it can only be removed with an (expensive) remover that is the size of a tube of lipgloss. NO THANKS! 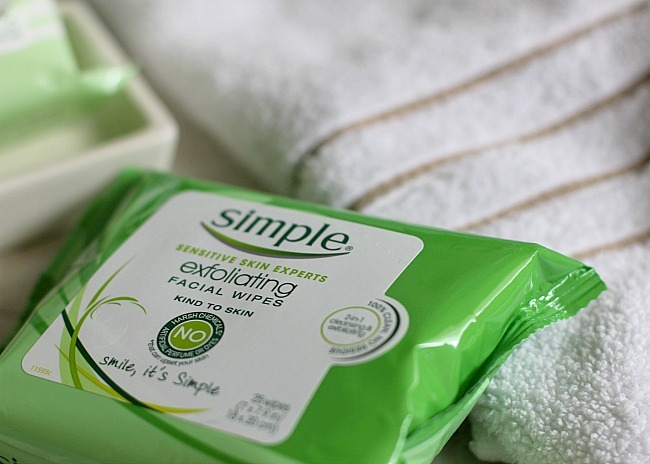 these Simple Makeup Cleansing Wipes are the perfect (cost effective) solution. simply swipe off that all day lip color with these gentle wipes or use them for any oops you may have made in the lip color application. they really remove any and all stubborn makeup. do a 'wrist' test. Apply product to your inner wrist over a three day period. If no rash or sensitivity appears it is unlikely to cause problems. a skincare routine is especially important for sensitive skin. lukewarm water is the best temperature for sensitive skin.